North Korea’s Ministry of Foreign Affairs (외무성) has opened a website, making it the highest profile government ministry yet to launch a site on the global Internet. 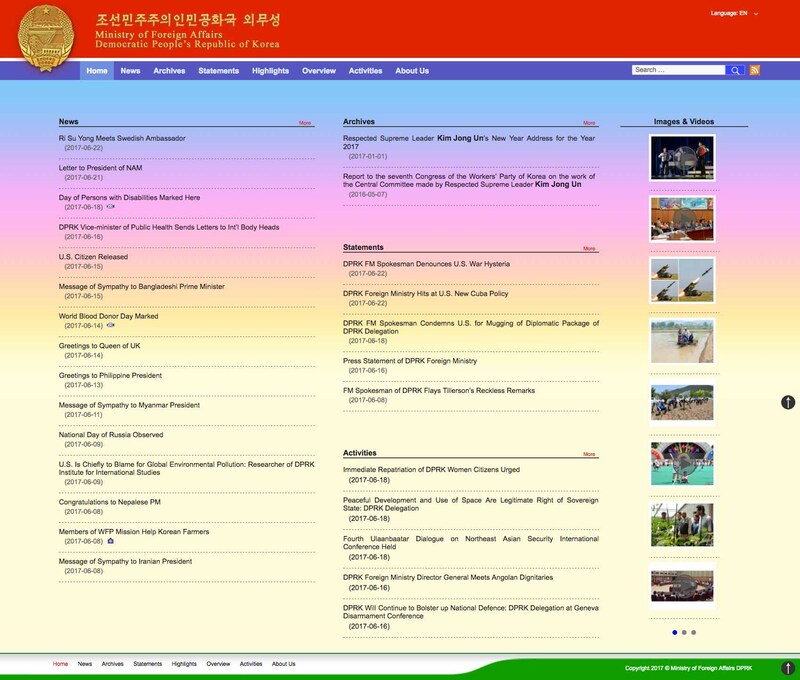 The site, at http://www.mfa.gov.kp/, was launched sometime around June 20 and isn’t too exciting. It’s largely filled with statements and pronouncements from the foreign ministry of the type carried regularly by the Korean Central News Agency. So far, it doesn’t look like much extra information or content is being provided via the site so it’s not particularly useful for current news, although it does appear to be archiving statements so could be useful for long-term research. It’s available in Korean and English. Perhaps the most notable aspect of the site is that it’s running on WordPress, the open-source blogging platform and content management system that’s been around for more than a decade. WordPress is one of the most popular web platforms and numerous sites, including North Korea Tech. 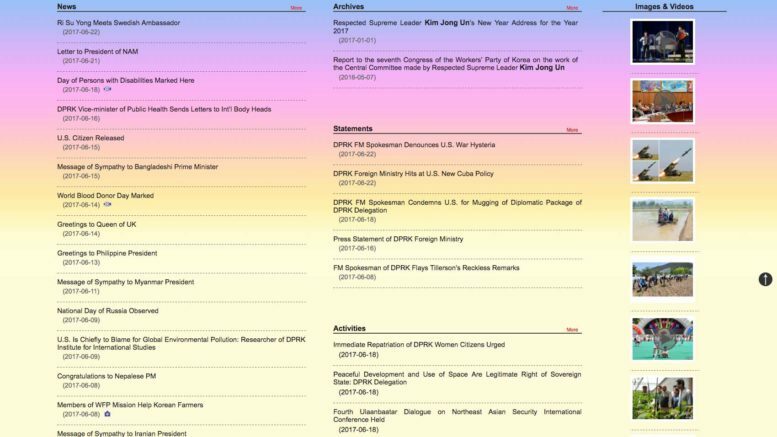 The MFA’s site is based on a custom theme called “DPRK” and it looks like content began being loaded onto the site in late May.